Hit a home run with a peanut allergy-friendly baseball game this season. The MLB is hitting an all-time high score with 26 of the 30 Major League Baseball teams offering peanut allergy-friendly games or seating. A huge high-five to the Oakland A’s, Arizona Diamondbacks and Tampa Bay Rays who go above and beyond and make their ballparks safe for peanut allergies for most or every game! 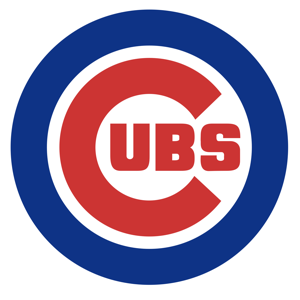 A special shout out to the Chicago Cubs for adding a peanut allergy-friendly day for 2019! For almost every home game in 2019, the Diamondbacks reserve a suite for fans with peanut allergies and their guests. The suite and its private bathroom receive a general cleaning the night before a game, but they can't guarantee that fans in neighboring suites will not be eating peanuts. There is a minimum purchase of 4 tickets for access to the suite. Upcoming Dates: Peanut allergy-friendly suite 6 available for most home games. Ticket Info: Contact Diney Ransford at 602-462-6818 or dransford@dbacks.com. The Dodgers are hosting their Peanut Allergy-Friendly Night on August 1 this year. Seats will be available in the Executive Club section. Before the game, the seats are pressure washed and a general cleaning of the area is conducted. Ticket Info: Contact Daniella Baltazar at dbaltazar@ladodgers.com or 323-224-1594. The Oakland Athletics hit a home run with food allergy families when they became the first team in the major league to offer a peanut-controlled zone for all home games in 2018! No peanuts are allowed in Loge 3, the designated seating area, and signs alert other fans to respect this request. Before the gates open, the area is cleaned, but it doesn’t have a separate bathroom or concessions. The Giants will be holding a Peanut Allergy-Friendly Day this year on June 28 at Oracle Park. More information on game details and pricing will be available soon! The Padres will be opening up a peanut-controlled seating area on July 14. Preparations for the game include power washing the the seating section and removing items with peanut related ingredients in the area, with emergency responders nearby and “No Peanut Zone” signs. Ticket Info: Contact Jenna Sain at jsain@padres.com or 619-795-5147 for more information. 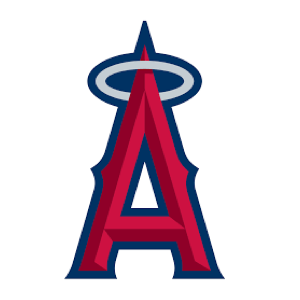 Ticket Info: Contact tickets@angels.mlb.com for more information. The Rockies’ peanut-controlled game day will be on May 28th against the Arizona Diamondbacks, hosted in the Mezzanine Party Suites. 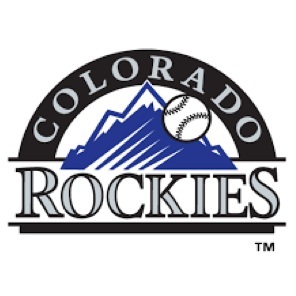 All fans who attend are required to fill out and submit signed waivers to the Colorado Rockies Baseball Club. Fans should note that “peanut-controlled” does not mean “peanut-free.” Coors Field is an open air ballpark, and peanuts will be present in other areas of the ballpark. The Rays can accommodate fans with peanut allergies for most home games. Call ahead to see if Suite 41 can be reserved and designated peanut allergy-friendly for a specific date. If Suite 41 has already been booked for your chosen game, the Rays can open up another suite and make it peanut allergy-friendly as well. Prior to the start of the game, the reserved suite will be cleaned, but there is no private bathroom. Upcoming Dates: Peanut allergy-friendly suites are available at most home games. Ticket Info: To order tickets, contact Victor Hagenbucher at 727-825-3345. As the long-awaited restoration and expansion of Wrigley Field nears completion, the Chicago Cubs are now equipped and thrilled to hold the very first peanut allergy-friendly game in the stadium’s 104 year history. Part of the restoration includes a new enclosed premier entrance and suite level, which will allow the Cubs to host their peanut allergy-friendly game in two of the newly renovated suites. Ticket Info: Tickets are currently sold out. For more information on the game or to be added to the peanut allergy-friendly list, call 800-THE-CUBS or email fanservices@cubs.com. On June 1st and August 25th, tickets to peanut allergy-friendly areas of the Club level will be sold for $35, and tickets to a reserved area of the Upper Level will be sold for $18-22. The area will be cleaned thoroughly before the game, and a service representative will make sure that only people with tickets for the peanut allergy-friendly section are allowed into the area. All guests will be allowed to park in the Red Lot and enter through the Chicago Sports Depot for direct access to the Club Level. For select games during the 2019 season, a Peanut Allergy Suite will be available. The suite is reserved for peanut allergic fans and their families. Limit six tickets per order. Tickets are going fast for the Boston Red Sox’ upcoming Peanut Allergy-Friendly games! For these games, the Red Sox designate a section in the Right Field Roof Terraces. The area is cleaned 12 hours before the game, and the surrounding concession stands will not sell peanut products during the game. Tickets are sold directly through a special link and are sold on a first-come, first-served basis. The Tigers’ peanut allergy-friendly games will be held in sections 150-153. To purchase a ticket, families are required to fill out and submit a waiver. They will be doing a thorough cleaning of the area but Comerica Park is an open-air ballpark, and peanuts and other nut products will be present in other areas of the ballpark. Limit 4 tickets per family. The Royals go the extra mile to accommodate food allergy families at Kauffman Stadium. During select regular season games, the Joe Burke Suite will be reserved for people with peanut allergies and their families. The suite, which is cleaned extensively before the gates open, has a private bathroom and select items from the team store, limiting the need to leave the suite. The ticket price, which ranges from $65 to $75, also includes a peanut free menu consisting of food and beverages. Limit 5 tickets per order. Ticket Info: Visit royals.com/peanutfriendly or contact Hannah Albregts at hannah.albregts@royals.com for tickets. For one game this season, section 228 will have restrictions on peanuts. The section will be thoroughly cleaned before the game and the sale and consumption of peanuts in the section will not be allowed. Ticket Info: Visit the Cardinals' peanut-free page. The Mets will host their Peanut-Controlled Suite Day on April 7. No peanuts are allowed in the Porsche Party Suites, which are power-washed and cleaned thoroughly before the games. The ticket price includes a peanut-free menu. Peanut allergic Yankees fans can watch all the action from the Party City Party Suite. Tickets include nut-free ballpark snacks and non-alcoholic drinks. Please note: the Yankees require a signed and notarized waiver prior to ticket pick-up. Peanut allergy-friendly games return to Progressive Field in 2019. Fans with peanut allergies can buy tickets to a peanut allergy-friendly suite for $52 per ticket. Before each peanut allergy-friendly suite night, the entire suite is detailed, and the carpet and furniture are cleaned to ensure they are free of peanut residue. Fans with tickets to the suite are not able to bring food into the suite so guests can enjoy the game and area free of peanuts. Ticket Info: Visit the Indians' peanut-free page and use special offer code peanut. Call 216-420-4162 with questions. The Reds score extra points with peanut allergic fans by setting aside a private, indoor seating area in center field away from the concession stands and regular ballpark seating on their Peanut Sensitive Days. Before these special events, all hard surfaces, furniture and baseboards are wiped down and sanitized. They also conduct a detailed cleaning of the private restrooms. Nut-based products will not be allowed in the area, and the Reds’ staff encourages people with peanut allergies to bring their own food from home. Ticket Info: Visit https://groupmatics.events/group/peanutsensitive to purchase tickets and for more information. This season, the Phillies are designating Corporate Party Suites 2 and 3, located on EMC Dell Suite Level, as their peanut-reduced suites for select games. Peanuts will not be allowed in these suites for these games. Tickets include a peanut-free menu of food and non-alcoholic beverages. To pick up your tickets, head to the desk outside of the West-Suite and Club Entrance. Limit four tickets per order. Ticket Info: Visit the Phillies' peanut-free page. For more details, please contact Jackie Morrisette at 215-218-5104 or jmorrisette@phillies.com. The Texas Rangers will be holding a Peanut Allergy-Friendly Day this year at Globe Life Park. More information on game date and pricing will be available soon! Ticket Info: For more information, call 972-RANGERS or email TicketOffice@texasrangers.com. Fans with peanut allergies and their families can score seats in sections 313, 314 and 315 in the lower view level. No peanuts will be allowed in these sections, and signage will alert other fans of the peanut allergy-friendly zone. The concession stand closest to these sections will not be selling peanuts during these games, but since Safeco Field is an open-air ballpark, fans should take their usual precautions as peanuts will be present in other areas of the park. Ticket Info: Visit the Mariners' peanut-free page and use PEANUT as the special offer code. The Brewers have designated Club Outfield Box Sections 306 and 307 as the peanut-controlled areas for select games this season. These sections and nearby areas will be power washed, wiped down and inspected before each game. Escalator handrails will also be wiped down. For fans in these sections, the gates will open 15 minutes early to limit peanut exposure. The Brewers will also provide people in nearby sections who buy peanuts plastic bags to contain their shells. Limit 8 tickets per order. Ticket Info: To order tickets, visit the Brewers' peanut-free page or contact Jacob Mentch at jake.mentch@brewers.com or 414-902-4523 with any questions. The Washington Nationals are offering a peanut-sensitive seating area at numerous home games. This suite is swept before the game and has a private restroom. Outside food may be brought in through the Media and Suites Entrance if needed. Limit 6 tickets per game. Ticket Info: Purchase tickets by emailing Caleb Bohan at Caleb.Bohan@nationals.com. Once again this season, the Toronto Blue Jays are offering peanut- and nut-reduced seating during several home games. Sections 204L and 205R of the Rogers Centre will be reserved for people with peanut allergies and their families, and a special ticket pick-up desk will be set up outside of the John Street Terrace entrance. The suite is cleaned and checked before the gates open, and additional staff will be on hand to help prevent other fans from bringing nut-based products into the zone. Limit 6 tickets per order. Ticket Info: Visit the Blue Jays' peanut-free page and use the promo code 2019NUT.